Message from the Angel of Families, Always come from a place of love; Everyone responds better when treated with loving kindness. Start your day right with a message from the angels. 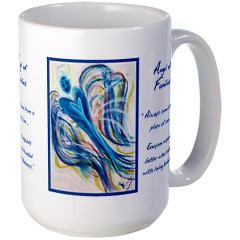 These wonderful new Angelic Message Coffee Mugs feature angel art that is infused with the energy of each corresponding message. These MUGS are designed to infuse your beverages with that very same energy. 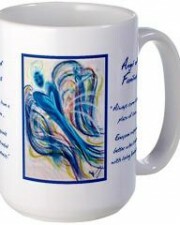 Now you can get in alignment with your hopes and dreams while simply sipping your favorite beverage. UMMM! YUMMY!! !